Homemaking exhibits in categories K-1 through K-8 may be either YOUNGER YOUTH- age 8 and under, JUNIOR- ages 9 through 13, SENIOR- ages 14 through 19, ADULT I- ages 20 through 59, ADULT II-ages 60 and over, based on the exhibitor’s age as of September 30 of the current calendar year. Exhibitors may enter only one article per class. Each article may only be entered in one class. Exhibits will not be permitted to be entered in the Miscellaneous Category if there is an existing category. All exhibits must be clean and stain-free and the work of the exhibitor and it is the responsibility of the exhibitor to make known the name of their item. 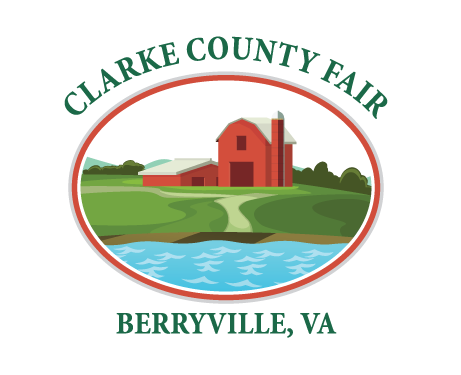 Exhibits previously entered in a Clarke County Fair will not be considered for competition. When there is only one exhibitor in a class, a blue ribbon may be awarded and first place money may be paid if merited. When items are not worthy of first prize, judges will award a prize or ribbon of such grade as they item deserves. A rosette will be given for the BEST IN SHOW in each of the youth and adult divisions, KI-K7. Blue ribbon holders only. Exhibits are entered on an “exhibitor risk” basis. All entries will receive careful handling. However, the Ruritan Club will not assume responsibility for loss or damage to any exhibit. EXHIBITS MUST BE ENTERED OR SET UP ON FAIR SUNDAY 3:00 TO 7:00 P.M. AND MONDAY FROM 11:00 A.M. TO 7:00 P.M.
EXHIBITS ENTERED SHALL REMAIN IN THE BUILDING THROUGHOUT THE DURATION OF THE FAIR, NOT TO BE REMOVED UNTIL SUNDAY. Exhibits must be removed on Sunday after the Fair between the hours of 2:00 p.m. and 5:00 p.m. The Homemaking Exhibit Building will be open to the public on: Tuesday 6:00p.m. to 10:30p.m. ; Wednesday, Thursday, Friday and Saturday 10:00a.m. to 10:30p.m. Each Homemaking Department Section reserves the right to add additional classes if there are at least two (2) entries of the same item. Participation ribbons will be awarded to each exhibitor in the Homemaking Department. We appreciate no smoking in the building. Pre-registration is available for exhibitors in the Homemaking, Fine Arts & Photography Departments combined. Online registration accepted until July 31. Registrations will also be accepted via mail. The pre-registered labels will be available for pick-up in front of the Homemaking Building during the entry times for exhibits. Competition in the Arts and Crafts Section is open to Younger Youth age 8 and under, Juniors age 9 through 13, Seniors age 14 through 19, Adult I age 20 through 59, and Adult II age 60 and over. Only clean, stain-free items will be accepted. All items must be identified at time of entry as homemade or from a kit and recycled items must reflect original work with identified material used. Drawings and paintings must be entered in the K-7 Arts & Crafts: Painting Division. Competition in the Baked Foods Section is open to Younger Youth age 8 and under, Juniors age 9 through 13, Seniors age 14 through 19, Adult I age 20 through 59, and Adult II age 60 and over. All exhibits must be in a clear disposable plastic container. Clear plastic containers will be provided when you enter your exhibits. Exhibits will be ¼ cake, bread or pie. Bread is not to be sliced. Bread can be a full small loaf. Candy and cookie exhibits will consist of three (3) individual items. No meringue, custard, or cream pies will be accepted. No cream cheese frostings. Decorated cakes may be made on a form and will not be cut. Frosted cakes must have flavoring in the cake. All baked goods will be thrown away on Sunday. Only ribbons and tags are kept. The Baking Contests have their own rules and regulations (see listing under “Contests”). Decorated or shaped cakes should be no bigger than 9×13. Novel presentation will be judged on overall appearance and creativity. Not eligible for Best in Show. Competition in the Clothing Section is open to Younger Youth age 8 and under, Juniors age 9 through 13, Seniors age 14 through 19, Adult age 20 and over. All articles must have been made since the previous year’s fair. All articles must be clean and on a hangar. It is strongly recommended that they be covered with a clear plastic bag. Prices and sizes are prohibited on articles and entry tags. All recycled or remodeled items need a description of changes made to the garment. Attach information if design is an original. Competition in the Food Preservation Section is open to Younger Youth age 8 and under, Juniors age 9 through 13, Seniors age 14 through 19, Adult I age 20 through 59, and Adult II age 60 and over. Vegetable, pickle relish and fruit exhibits should be brought in clear glass regulation canning jars. Corn only in pint jars. Jellies, jams and preserves, etc. may be in a clear, glass regulation jelly jars. NO FREEZER or REFRIGERATED jams and jellies, and NO PARAFFIN sealed jams and jellies can be accepted. All jars in food preservation must have regulation non-zinc lids and rings. Groups of 5 vegetables and fruits are to be in individual containers. Exhibits may be opened for final judging at the judges’ discretion. Competition in the Needle Art Section is open to Younger Youth age 8 and under, Juniors age 9 through 13, Seniors age 14 through 19, Adult I age 20 through 59, and Adult II age 60 and over. ALL PICTURES MUST BE READY FOR HANGING. Original design needs information attached. Group needle art will exhibit in K-8. Kits are allowable but must be specified either hand or machine. At least 40" x 45" but less than 55" x 82"
Competition in the Hobbies and Collections Section is open to Younger Youth age 8 and under, Juniors age 9 through 13, Seniors age 14 through 19, Adult age 20 over. All models must be fully assembled. All models and/or collections must be securely mounted for suitable display. A collection consists of three (3) or more like items. All items must be identified at time of entry as entirely homemade or made from a kit. Competition in the Painting section is open to Younger Youth age 8 and under, Juniors age 9 through 13, Seniors age 14 through 19, Adult I age 20 through 59, and Adult II age 60 and over. All pictures and wreaths must be ready for hanging (no tape, no strings). Wire hanging is preferred. No taped frames will be accepted. 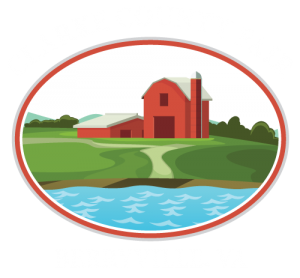 Competition in this section is open to organized 4-H clubs, scout troops, FFA chapters, FCE, and other community youth and adult organizations in Clarke County. In addition, educational exhibits may entered by individuals, both youth and adult. All club educational exhibits must be the work of at least five (5) or more club members. Each club and/or individual will be provided a space approximately three (3) feet by four (4) feet for the exhibit. Only one entry per class will be accepted from each club or individual. Categories for competition include youth clubs, adult clubs, youth individuals and adult individuals. Exhibits in each class will be judged on a set of standards and scored based on the appropriate score card. A Blue ribbon will be 90-100 points; red ribbon will be 80-89 points; and white ribbon will be 70-79 points. This is the Danish System for judging. It is possible for more than one exhibit to receive the same color ribbon in a class. A special class will be offered for 4-H and FFA members from Clarke County who wish to enter a SAE record or 4-H portfolio. They are a member’s record of learning activities and accomplishments in one project area. Complete guidelines in preparing these record books are available at the Clarke County Extension Office and from FFA Advisors. A special non-competitive class will be offered to 4-H Cloverbuds (5-8 year old 4-H members). There will be no prize money or placings. Everyone will receive participation ribbons. In memory of Alice and Eustace Jackson, Elmer Lloyd will award a $50.00 cash award to the Clarke County youth exhibitor who makes the most points in the Homemaking Department. The Shenandoah Valley Fiber Festival will award a $50 cash award to the youth ages 9-19 who best combines fibers, creativity and technique. Fibers may range from raw materials to commercial yarns, fabrics, reeds, etc. Exhibits may be entered in ANY department and class within the entire Homemaking Section such as Arts & Crafts, Needle Art, Hobbies/Collections, etc. The Shenandoah Valley Fiber Festival will award a $50 cash award to the adult ages 20 and up who best combines fibers, creativity and technique. Fibers may range from raw materials to commercial yarns, fabrics, reeds, etc. Exhibits may be entered in ANY department and class within the entire Homemaking Section such as Arts & Crafts, Needle Art, Hobbies/Collections, etc. In honor and memory of Gail Smith, a devoted Virginia Lovers’ Gourd Society (VLGS) member and creative gourd artist, the Society offers the Gail Smith Memorial Award recipients a Buddy Membership prize whereby the winner of the Adult category and the Youth category will win 2 memberships to the Virginia Lovers’ Gourd Society, one for themselves and another for a friend. Both will be welcome at the monthly gourd patch project days and all other chapter events. Adult Award (ages 20+) and Youth Award (ages 9-19).